Home » Finding a BJJ School » Can brown belts teach Brazilian Jiu-Jitsu? Can brown belts teach Brazilian Jiu-Jitsu? Yes. 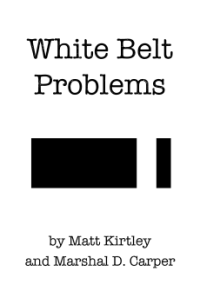 You have very little to worry about if you are taking classes from a brown belt. Many brown belts teach classes, and many of them run their own schools. If a jiu-jiteiro has reached brown belt, he is well on his way to black belt. At this point, he is refining and refining and refining some more. You can learn a lot from a brown belt, so don’t miss the chance to train with one.